The summer of 2009 is the hottest I can remember, with the temperature frequently hitting the 40s for days on end. By the time February rolled around, the heat seemed almost normal, but even so, Saturday February 7th stood out. The temperature hit 47 degrees and a strong northerly wind blew, and by early afternoon severe bushfires were being reported. It became known as Black Saturday, and the fires which raged to the north and east of Melbourne eventually claimed nearly 200 lives. While there was widespread devastation, the event which hit home the hardest with me was the near total destruction of the pretty little town of Marysville. Of all the affected communities, it was the one with which I was most familiar. I’ve been back a few times since that terrible day, most recently just last weekend, and gradually the community and town has been rebuilt. But there are reminders of the fires everywhere, and perhaps the most notable are burnt out forests. The trees are gradually growing back from the bases as eucalypts do, but the charred and bleached skeletal remains of their former selves remain. 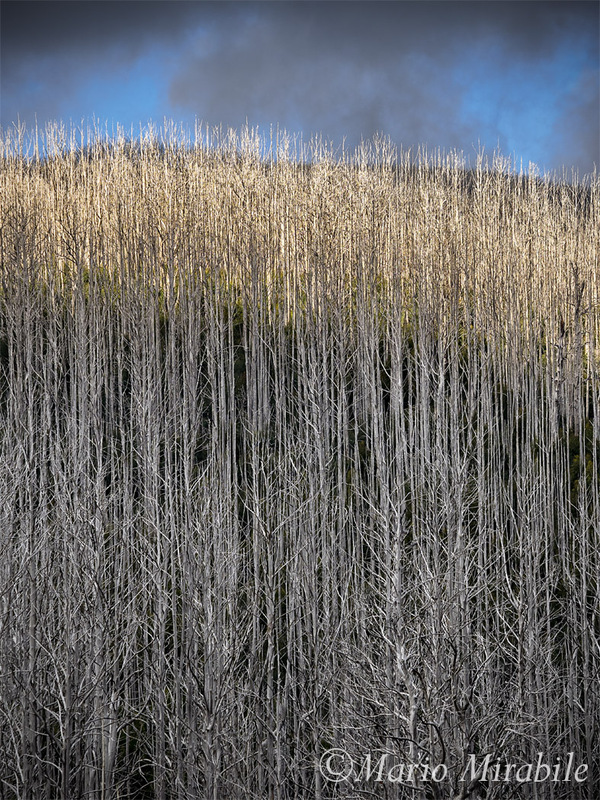 There is a sad beauty in the stands of tall mountain ash and twisted snow gums, a reminder that no matter how hard we try, we cannot subdue nature.